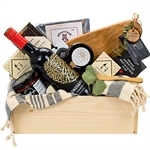 Wish endless happiness to the newlyweds with one of our beautiful wedding gift baskets. 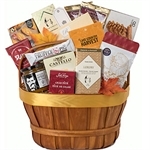 We carry a large selection of exquisite gourmet food delicacies ready to eat that the bride and groom will appreciate. 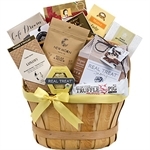 We can customize all our gift baskets to transform them into a majestic wedding gift that will set yours apart of the rest and make it memorable. 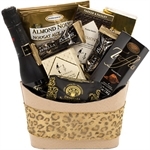 If you are looking for wedding shower, bridal shower gifts, anniversary gifts, we have it all. 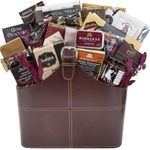 Do you have a special card, or a personal item you want to add to the gift to make it even more special? 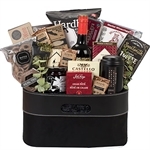 We can add those items for you - it's all about creating special moments one gift at a time. 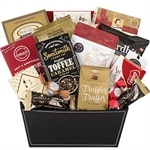 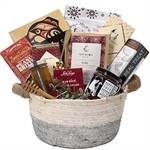 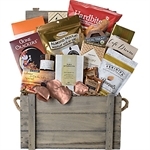 All our wedding gifts and gift baskets are available for delivery anywhere in Canada and USA.